Chains don't even do that good a job at protecting bikes. 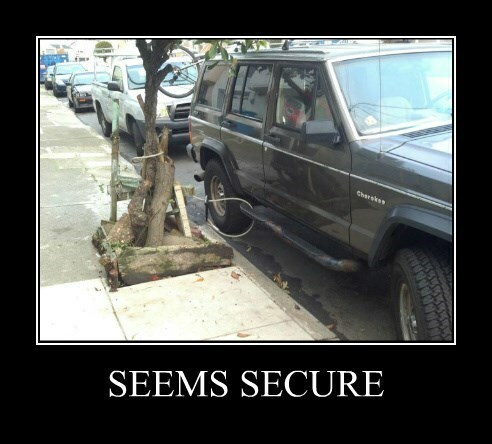 I'm not sure what this Jeep owner is expecting. Nobody Reuses 4 Digit Codes, Right? Isn't It About Time This Changed? The Truth, Motherf*cker! Can You Admit It? Do You Even Know What A Woman Looks Like?